How to Make a Perfect Halong Bay Trip? No doubt, the Halong Bay in Vietnam is beautiful and worth seeing. Few travelers would leave Vietnam without a trip to Halong Bay. 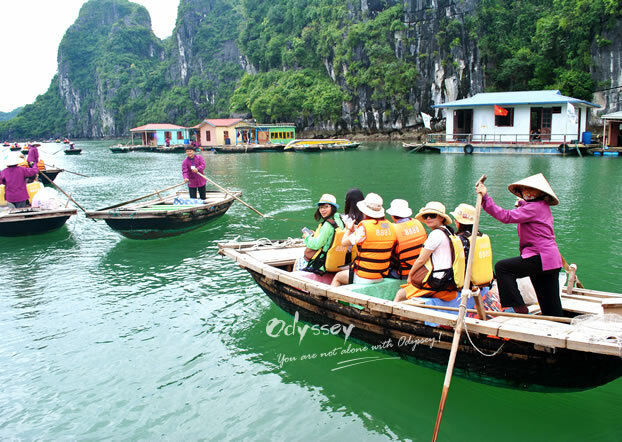 But how to make your Halong Bay tour a perfect one? Of course, you can directly head to Halong Bay without doing any homework, but if you want to make the most out of the trip, follow the steps below and your trip will go as perfect as it can be. Although it’s fine to visit Halong Bay all the year around, picking the best time to go means the high chance of good weather and good holiday. As I have mentioned in a previous article, the best time to visit Halong Bay is in March, April, September and October. 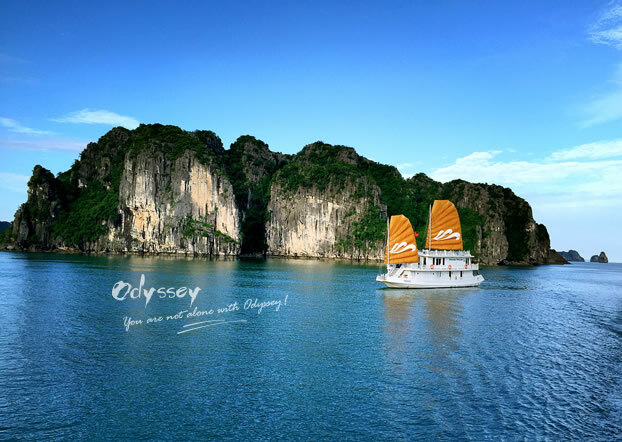 In Halong Bay, you can do 1-day cruise, 2 days/1 night cruise or 3 days/2 nights cruise. An overnight cruise of 2 days/1 night or 3 days/2 nights is more preferable. A day trip is often too rushed, especially when you factor in the long bus ride from/to Hanoi. 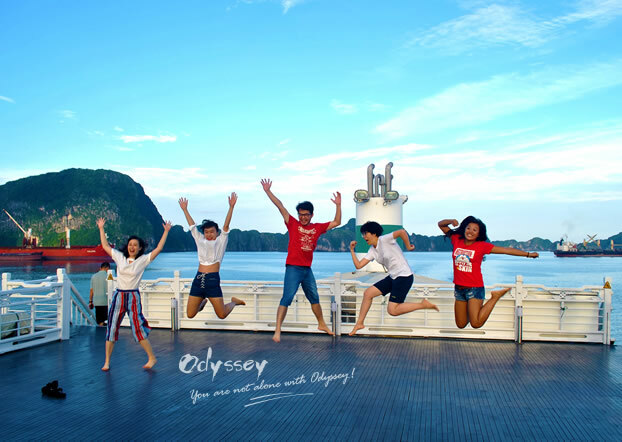 While on an overnight cruise you can get the most out of the trip, you will enjoy the stunning sunset, sunrise and a starry or moonlit night at Halong Bay, and also enjoy more activities like kayaking, cave visits, bike rides, etc. The price of a Halong Bay cruise varies from boat to boat. So you should choose a good cruise according to your budget. There are 3 categories of cruise in terms of price/cost: budget cruise, mid-range cruise, and high-end luxurious cruise. A cheap cruise can be as little as US$30 per person if you share a cabin; however, it seems that the budget/cheap cruises get most complaints. A mid-range cruise ranges from $70 dollars to $200 per person while a luxurious cruise can go $200 per person and up, depending on your duration and choice of cabin. But in low season it’s possible to buy a deluxe cruise at the price of a mid-range cruise. In general, you will get what you pay for in Halong Bay. Many people consider the budget cruise as a money-saving option. That may not be true. Budget cruises are often day trips. The boats are often loaded with day trippers and the food and services are cheap too. You might also find some cheap cruises do not include kayaking or other programs which are included in the other cruises that look more expensive, that’s to say, you might need to pay in other ways. My suggestion, stay away from absolute cheap cruise. Mid-range cruises are better in terms of cabins, food and services. Also the group will probably be smaller, and the activities are more well-planned and well-coordinated. Luxury cruise offers additional services such as wifi, or massage. Everything from food, cabins to service is better. For those with mobility problems, a luxury cruise is especially worthwhile, who will get the necessary assistance they need. There are loads of cruise companies operating Halong Bay cruise but not all of them live up to their promise. It’s important to choose a reputable company. Cruise companies we've heard good reports from include: Emotion Cruise, Emeraude Cruise, Bhaya Cruise, the Paradise Luxury Cruise and Au Co Cruise. Halong Bay’s nature environment makes a wide range of activities feasible for travelers. Some are included in the tour package; some are optional (at extra charge), varying from boat to boat. So, before booking a cruise, decide on what to do, ask your tour agent or the cruise company what the itinerary would be, and pack for the trip accordingly. Almost every ship will stop at one of the beaches on Halong Bay for travelers to go for a swim. Sometimes the swim takes places near a fishing village. So do remember to pack your swimming suite if you decide to go swimming. Alternatively, you can purchase one in Vietnam. There are many floating fishing villages on Halong Bay. And most cruise ships will make a stop at a fishing village. You will be able to see the seafood being farmed, and have the opportunity to buy some local specialties, and experience the local way of life. If weather and tides permit, all ships offer the chance to kayak. Sometimes you can kayak through a tunnel that leads to a limestone cave that can only be reached by a small boat. Sometimes you are allowed to paddle in circles around the ship. Don’t forget wearing the life jacket even if you can swim. There are many hidden limestone caves in Halong Bay. The most famous caves are the Sung Sot (Surprise) Cave and the Dragon Cave. Some cruises offer the chance to visit an island on the bay, such as the famous Cat Ba Island. You may hike or enjoy a cycling trip to visit the secluded village on the island and see locals doing the daily farming and fishing. Apart from these activities, you can have entertainments onboard offered by cruise companies, such as cooking class, foot massage, etc. The most popular route to Halong Bay is via Hanoi. So, go to Hanoi first and then choose the transportation type. Halong Bay is located 170 km away from Hanoi, so it takes 3 - 3.5 hours (more time if you take a tourist bus or local bus) to drive to Halong Bay. You can buy a package tour that includes the bus ride from/to Hanoi. However, the tourist buses often pick up tourists at designated point. Sometimes it can cost you more than 4 hours to get to Halong Bay because you have to wait for others. A local bus is the cheapest transportation but the bus is often old and shocking, and will stop everywhere on the road to pick up more guests. The most convenient transportation would be a private car or a taxi. Good news, Indochina Odyssey Tours, a sub-brand of Odynovo, can arrange a private car for you if you book a Halong Bay cruise with us. Is there high risk of getting sea sick in Halong Bay? The sea water in Halong Bay is usually very calm so it’s hard to get sea sick in Halong Bay. If you are in doubt or really sensitive to motion sickness, take some medication such as Kwells just in case. What kind of food will be served on boat in Halong Bay? Most of the meals offered on ships are seafood, the specialty of Halong Bay. However, meat and vegetables are also available. If you are allergic to seafood, you can inform your meal preference to your tour operator or the cruise company before your departure to Halong Bay so that your requirement can be met properly. The ships offer fresh, creative food, including food for vegetarians. If you have any meal requirement, you can notify your tour operator or the cruise company before departure to Halong Bay so that your requirement can be met. Do I have to bring passport for sleeping on board? Yes, you should bring your passport to check into your cabin. Is there anything I can’t bring on board? Most cruise ships do not allow tourists to bring on board any intoxicating liquors, or beverages, firearms, weapons of any kind, ammunition, explosive substances or any goods of a dangerous nature. Do I need to bring money on board? Although almost everything has been included in the tour, you still should carry extra cash for personal expenditure such as drinks at bar, snacks or other personal services. Cash should be in Vietnam dong or US dollar. Credit card (VISA, Master) is also accepted in some junks. If you find this post helpful, you can share it with your friends! You can also write to if you have anything to ask about Halong Bay tour.